Everyone needs a washing machine, but it is hard to choose the right one, especially, when you consider how much money you have to spend for one. Of course the price is an important factor, but beside the price there are several other key features to be considered. So before you go and make the important decision which one it should be, take a minute to go through our guide. Because actually knowing what you are looking for, will facilitate your search for the washing machine that best fits your needs. So check out our list of the key features that have to be considered when buying a washing machine. The first question to be answered is whether you need a front load or a top load machine. If you plan to put your machine under a work surface you need a front load machine, which is quieter, has a larger capacity and is more energy efficient. You also need less water than with a top load, since you have to fill it up entirely with water to wash and rinse properly. Top load machines, on the other hand, are usually cheaper, faster in the cleaning process, narrower and more compact, therefore a good choice when you have to make the machine fit in a small place. 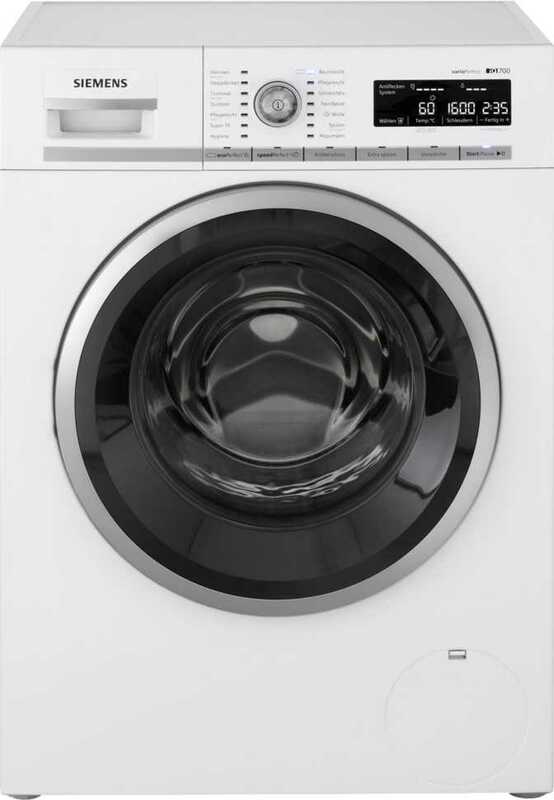 One of the most important features of a washing machine is the drum capacity, which indicates how many kilograms of dry clothes you can wash so they can spin and get clean. In this context the drum volume is also often mentioned, which is measured in litres, giving an estimation of how much laundry fits in total inside the drum. 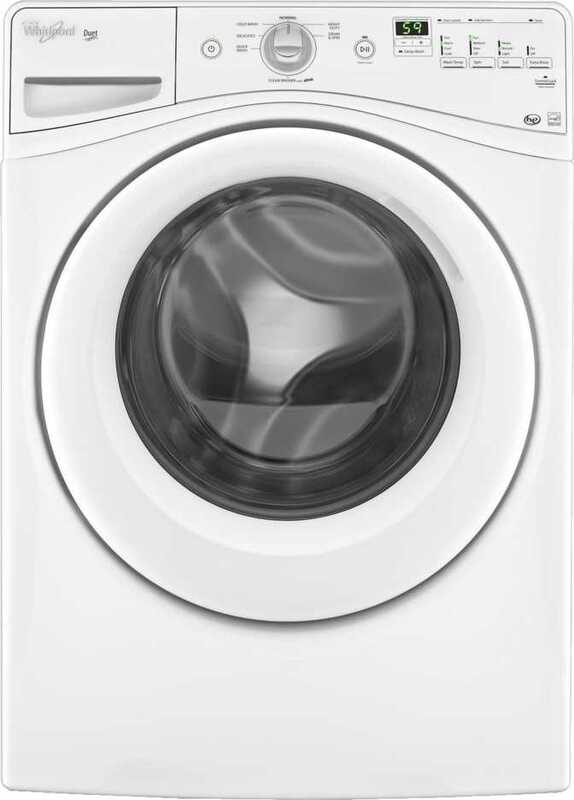 The average for a drum volume is 101 litres, whereas the average of the laundry capacity is approximately 7 kg. In general, individuals or couples need approximately 5-6 kg of drum capacity, while a family needs 7-9 kg and a very large family would, of course, need a bigger capacity with 12 kg. Of course the capacity that suits your needs the best also depends on how often you wash and what you wash. Unfortunately it seems that the numbers published by manufacturers often don’t represent the true capacity, which is difficult to find out by yourself since measuring the litres or kilograms of a washing machine is very hard to do. So always count on a bit less laundry capacity than the manufacturers list in the specs. 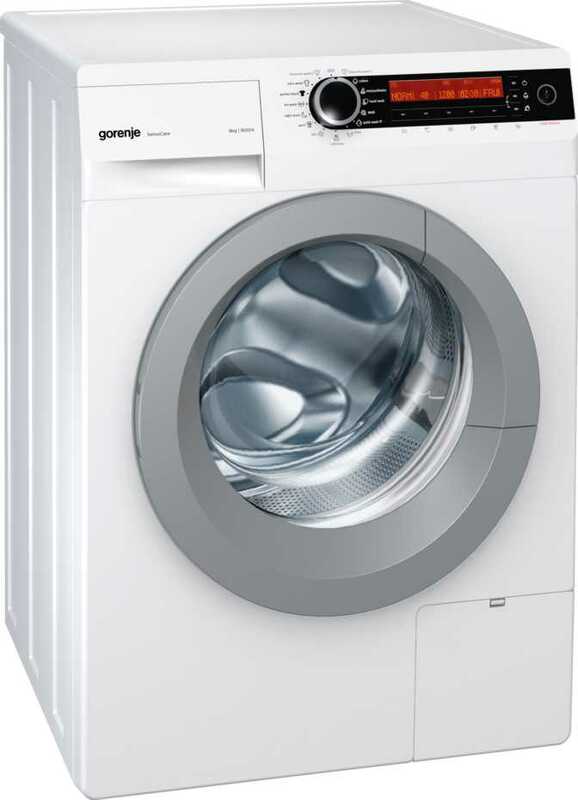 A bigger drum size will, of course, result in a bigger washing machine, so make sure you have the space for the washing machine and also consider some space for the vibration, as well as the way the door opens. 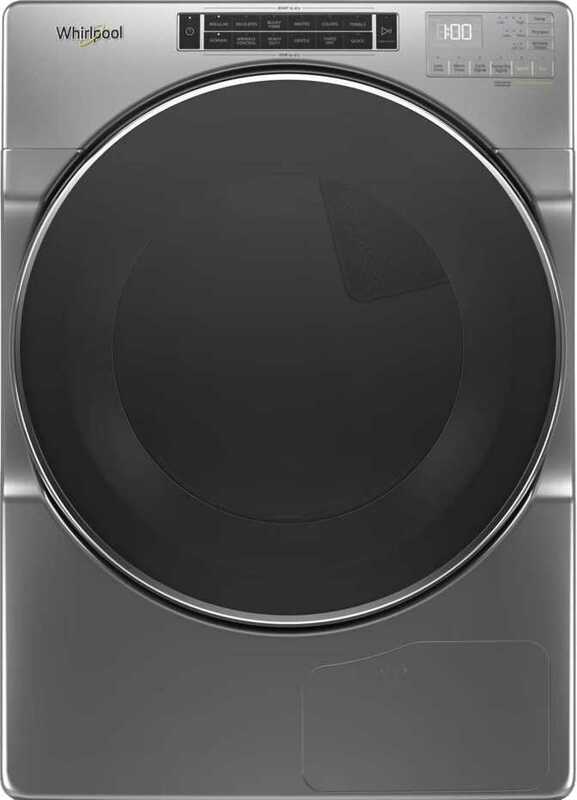 If you are not sure how to load your washing machine, there is a cool feature to help you - the load sensor. It not only indicates when you have overloaded your machine, but can also calculate how much water and detergent is needed for your laundry, based on the information of the load, which is handy when you wash less than usual. The load is measured through the integrated dampers counterbalancing the depression of the tub while loading, nowadays often measured by a displacement sensor. An important feature is also the spin speed, which is the drum’s number rotations per minute (rpm) and usually has a range between 1000-1600 rotations per minute. Higher speeds are better for a thorough cleaning, and reduce the time your clothes need to dry, on the other hand, higher speeds often result in higher costs and usually cause more noise. Lower speeds are better for cleaning soft fabrics, like wool and silk. When it comes to spin speed, an important question is how much noise the machine makes. The importance of the noise level when washing or rinsing depends on where you will place the machine. If it stands close to a bedroom you may consider a washing machine that shows good results in noise tests. Quiet washing machine are often equipped with a Direct-Drive motor technology, which reduces a big part of the vibrations, due to the elimination of the belts. 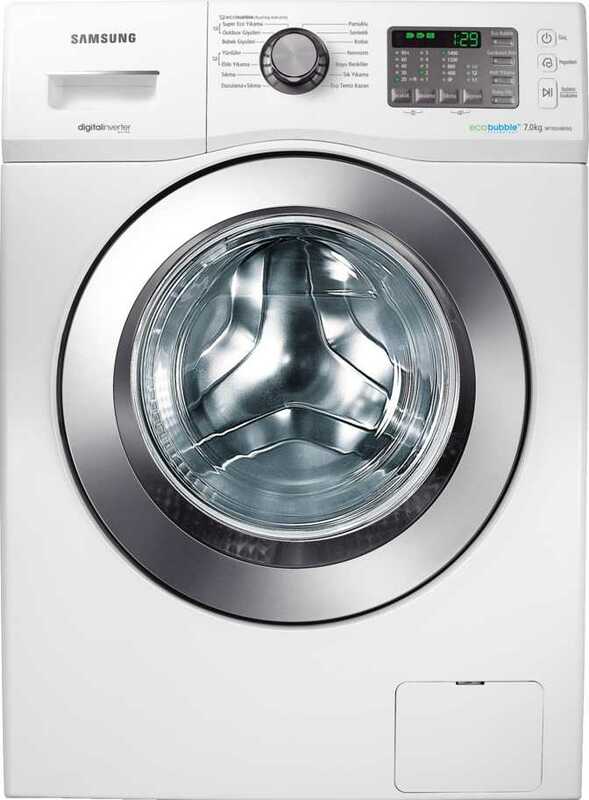 Washing machines with noise reduction are, for example, the Samsung WF45K6200AZ and the LG WT1501CW 4.5 Cubic Feet. 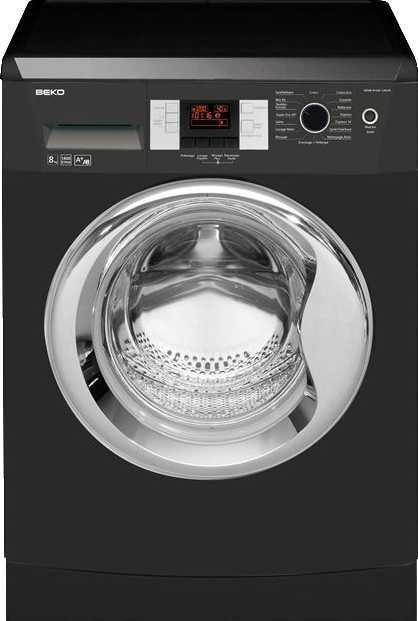 In addition to the possibility of adjusting the spin speed, the temperature and soil level - a feature allowing you to adjust the cycle depending on how dirty the clothes are - there are numerous other functions that washing machines provide. 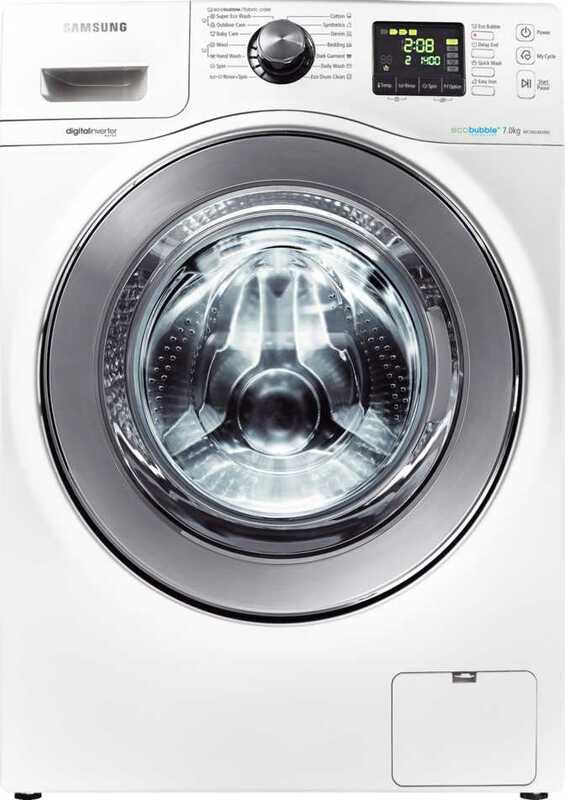 All washing machines have a normal cycle and a few specialty cycles - with an average of 12 programs. Special features that most of the higher-end models provide are, for example, cycles for specific materials, like hand-washables, towels, wool, steam cycles for a better stain removal, and cycles that kill bacteria. Samsung, for example, has the special feature called “Silver Wash”, with which, according to the company, up to 99% of bacteria are killed, due to the use of Silver (Ag). Another useful feature is the Automatic Dispensers feature or “Smart Dispense Technology”, like GE (General Electric) calls it. It is designed to hold fabric softener, detergent and bleach in a soap reservoir and dispense the right amount of soap needed at the right time, saving the rest, to hold the supply for several months. Some washing machines also offer a delayed start feature, which enables you to set the start of the machine at a specific time. 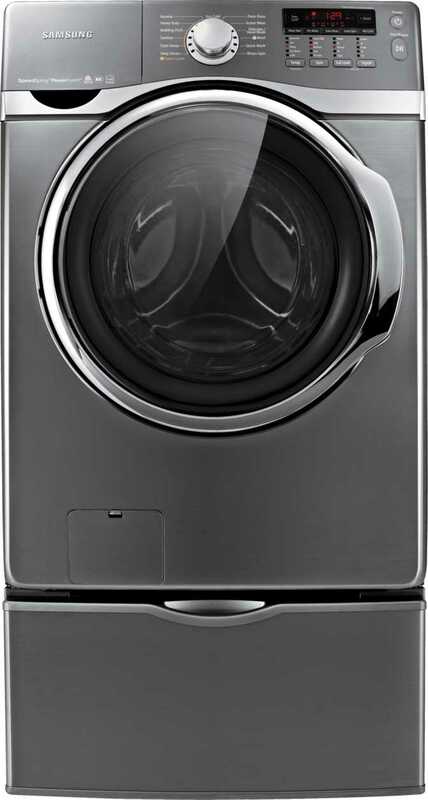 Some smart-washing machines can even be programmed using an laundry app, allowing you not only to delay the start, but also stop the cycle, like the Philips Hue LEDs, Samsung WF50K7500AV Washer and the LG's Twin Wash. 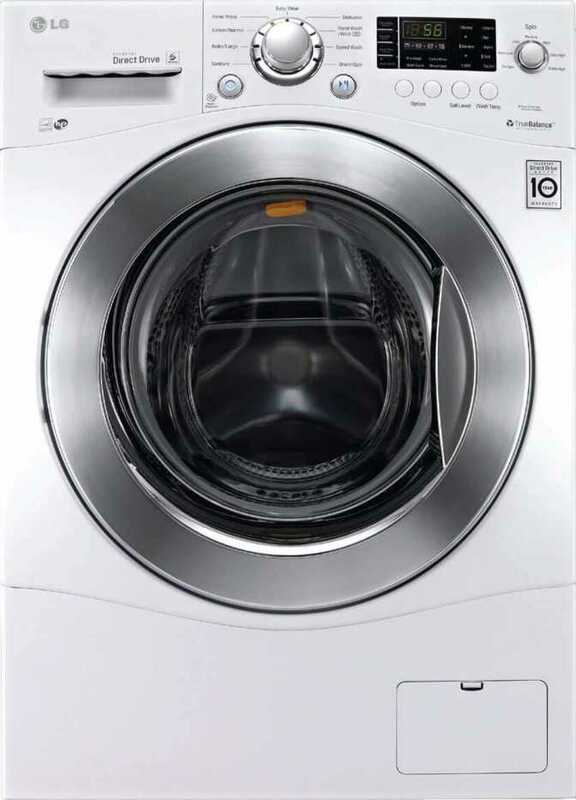 The quick wash or quick cycle function, which allows you to wash, for example, small items with a fast 15 minutes cycle (Electrolux EFLS617SIW). The End-of-Cycle Signal, which signals you when the cycle is over so you don’t leave your wet clothes too long in the machine. The Automatic Temperature Control, which adjusts the water temperature according to your selected setting. The minimum washing temperature is usually 30°C and the maximum is 90°C or 95° C, depending on the model (Whirlpool - Cabrio 4.3 Cu. Ft.). 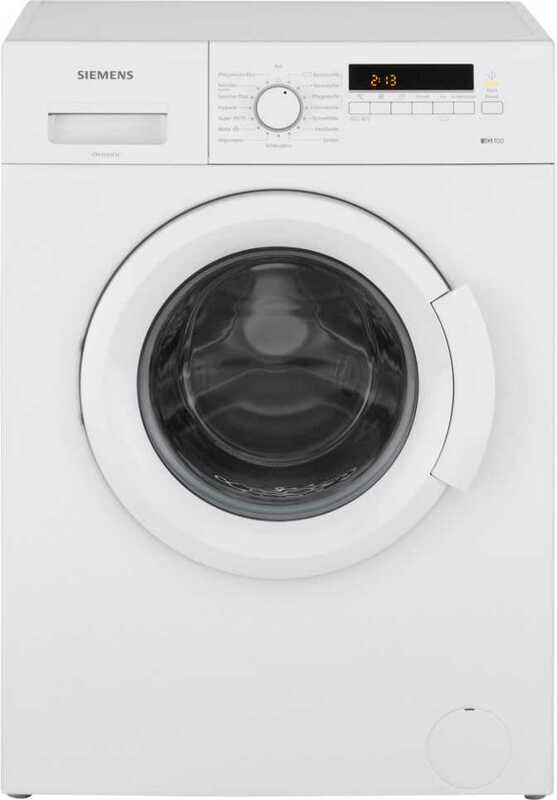 The Extra Rinse Cycle, which is good if you, for example, want to get rid of pet hair (Electrolux EFLS617SIW). The Built-in sink, which is useful when you want to hand-wash or pretreat tough stains (Samsung WA52J8700). When buying a washing machine, besides the actual price it is also important to consider the cost of running it. Concerning the power consumption, the annual power consumption (in kWh), which is usually around 200 - 400 kWh per year, and the power consumption in standby mode (in W) should be considered. Another important factor for saving money and energy is the energy efficiency of the machine, which have labels from A+++ to D, with A+++ being the most efficient. When buying a washing machine, it is useful to check on the Energy Star ratings, where 5 is the highest a machine can have, allowing you to save 25% on your water and electricity usage. Most machines have a rating of 4 stars. The cost of running is higher with top-load machines and is also very much influenced by the drum size, so that a bigger drum size is not always better.